You shouldn't have to start from scratch. Based on our deployment expertise, we've built a SuccessFactors implementation methodology that is agile, scalable and helps you realize business value—in just weeks. 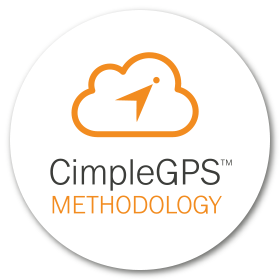 We built CimpleGPS using our combined past experiences, lessons learned and best practices, which are optimized for cloud application deployment. This implementation methodology helps take you from the Prepare phase to the Deploy phase at the speed of change. It's designed to give you the tools, templates, expert guidance and education you need to be self-sufficient with your solution. We begin the journey by defining the scope of work, validating business objectives, and constructing your detailed project execution plan. With common industry practices as our benchmark, we take your unique business, data, and technical requirements and adapt them to define your system processes. Your dedicated project team will configure system settings, set up custom data fields, help load test data, and assist with testing. What does CimpleGPS stand for?